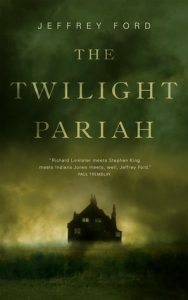 I borrowed a copy of Jeffrey Ford‘s The Twilight Pariah from my local library. Not bad, but I wouldn’t say it covers any new ground or anything. I appreciated that, even with the narrator being male, the leader of the gang is obviously the women. Similarly, the inclusion of an incidentally gay man (and his boyfriend) with no need to include a homophobic encounter was nice. The writing was easily readable and the editing was good. But I finished the story with a shrug, rather than a shiver. This entry was posted in books/book review and tagged book review, horror on February 12, 2018 by Sadie. When the world ended some people believed that it was the fault of a failed space probe, others–an act of vengeance from an angry God. No one knew the reasons why but across the globe, millions of the recently deceased rose from the dead, possessed with one singular goal: To eat the flesh of the living. Over the course of a few short hours the world was lost. 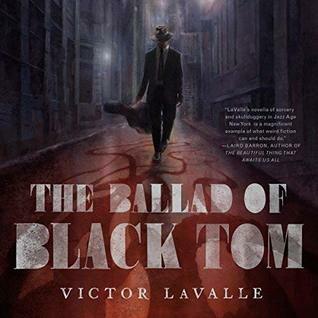 In the Northern California town of Red Bluff, a Sheriff struggles to grasp this strange and hellish turn of events that have ravaged his small town and maintain order as it all falls apart. Two brothers struggle to make sense of this new world, traveling through the putrid remains of their beloved town–torn between survival and the love their mother. The world has ended and soon they will learn that all they need to survive is each other. With a few exceptions the writing here is smooth and pleasantly atmospheric. However, there is nothing new offered in this zombie yarn. It is nothing more than the struggle for survival of a few random people in the face of a mysterious zombie plague. No explanation is given, no certain ending provided, no real reason even for why the character we follow are the characters we follow. I won’t go as far as to claim the book has no plot, but it does seem distinctly without purpose. Why are we following the sheriff and two young boys as they explore the landscape? Why not the baker or the barber? What is the goal? The book is heavy on the zombie gore. So, if that’s the sort of thing you’re interested in, this will be a hit. If you like a little more storyline with that gore, maybe not. For the most part Rick Gregory did a fine job with the narration. He had an odd habit of breaking sentences in unexpected places and pronounced a couple words in ways I hadn’t expected. But mostly it was easy to listen to. 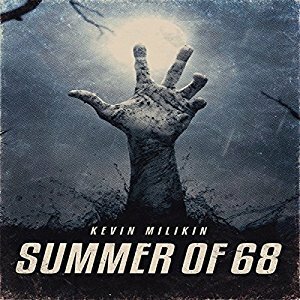 This entry was posted in books/book review and tagged audio book, book review, horror, won, zombies on October 9, 2017 by Sadie.